Bollywood and cricket have often crossed each other's path over the years. Rumours, romances, scandals, denials... the list is long. 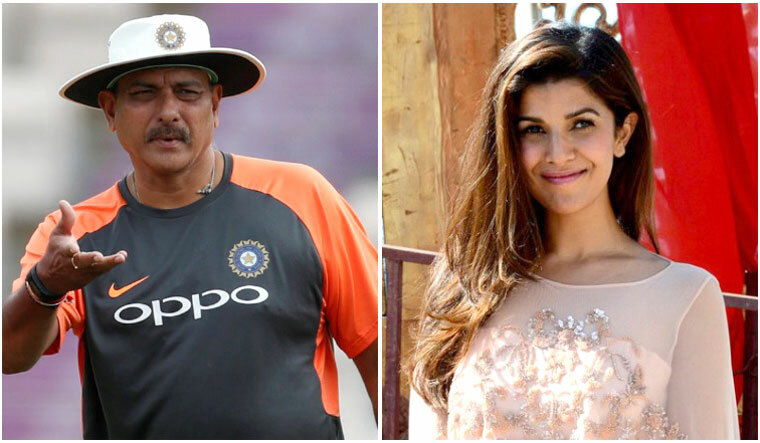 Adding to it is the alleged relationship between Team India coach Ravi Shastri and actor Nimrat Kaur. With all the eyes on the lovey-dovey couple—Virat Kohli and Anushka Sharma—Shastri and Kaur, reportedly, managed to keep their relationship under wraps for the past two years. Shastri, 56, had separated from his wife Ritu almost a decade ago. The former cricketer and Kaur, 36, had appeared together in commercials over the past 2-3 years for a popular car brand. The actor, however, put out a cheeky tweet today where she seemed to dismiss the link-up rumours with Shastri. Shastri had earlier been linked to actor Amrita Singh—Saif Ali Khan's former wife. Shastri is currently with Team India on the tour of England. The visitors lost the fourth Test yesterday by 60 runs in Southampton. England have now clinched the five-match series 3-1, with the inconsequential final Test starting on September 7.